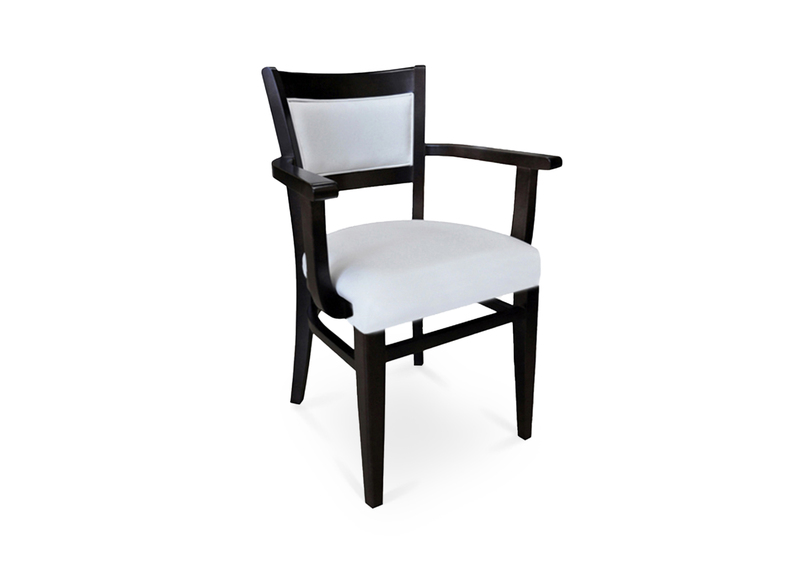 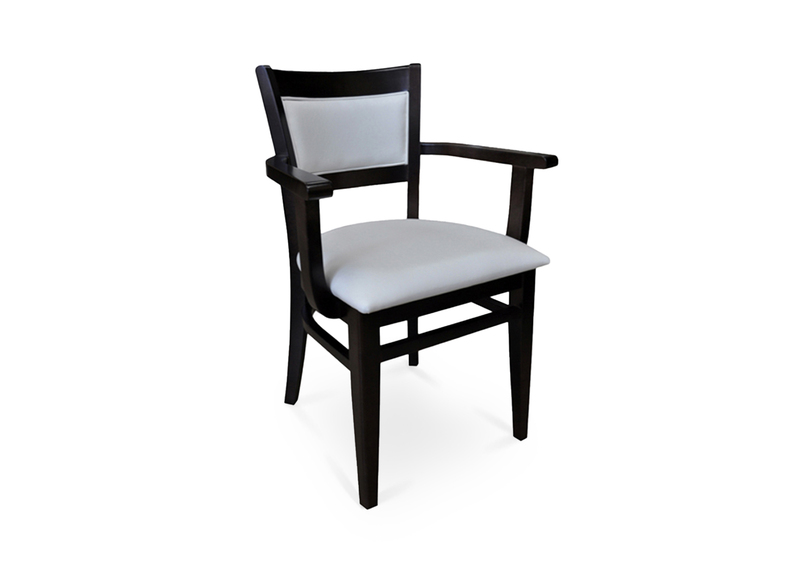 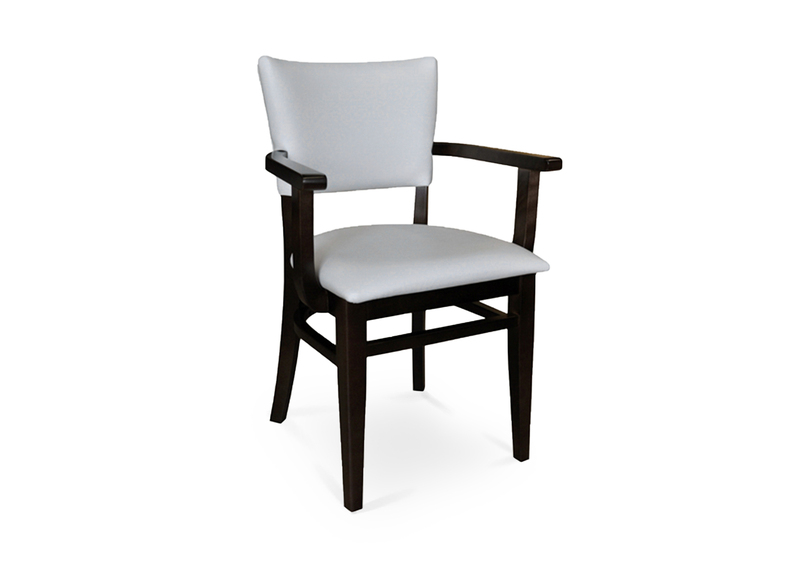 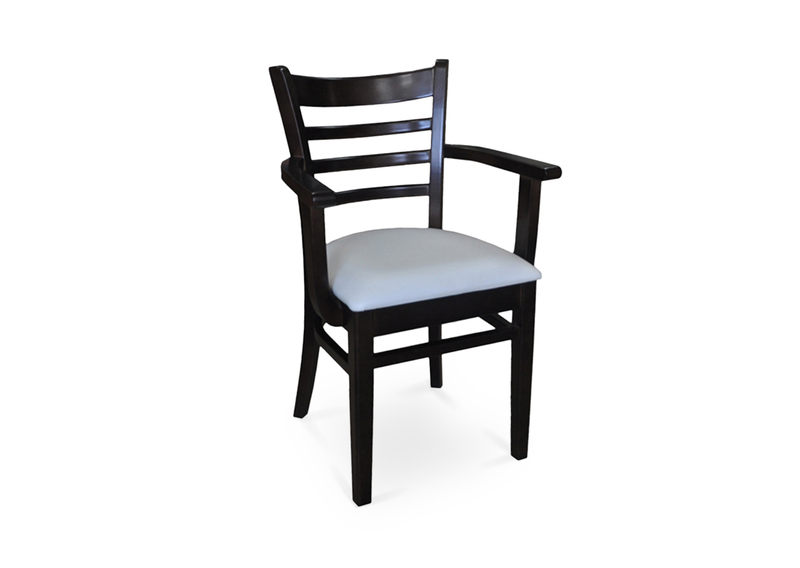 Solid European beech wood chair. 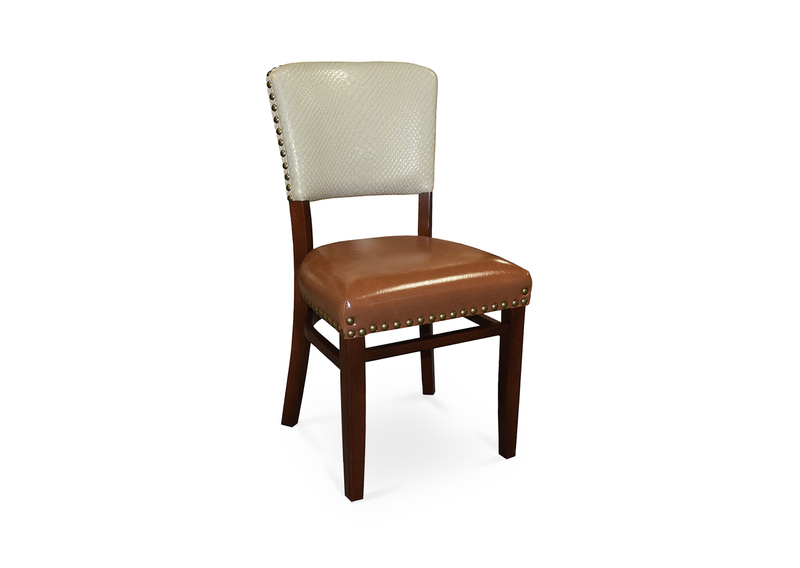 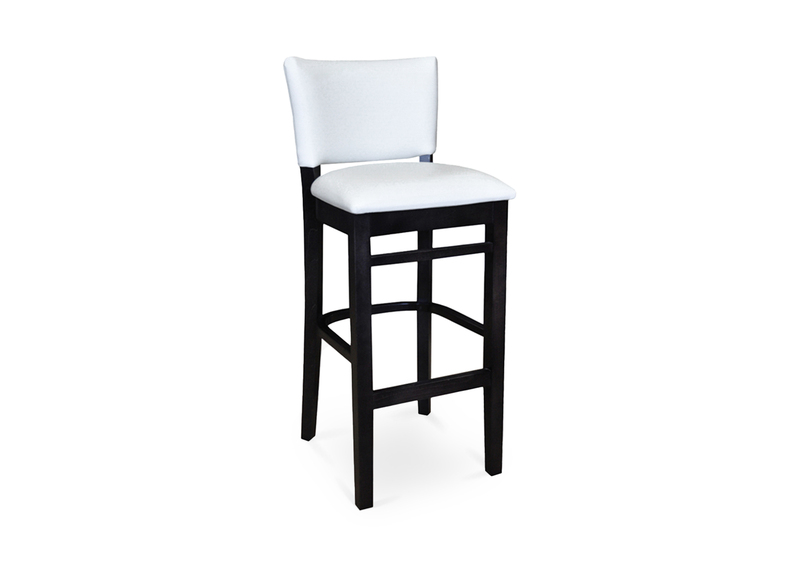 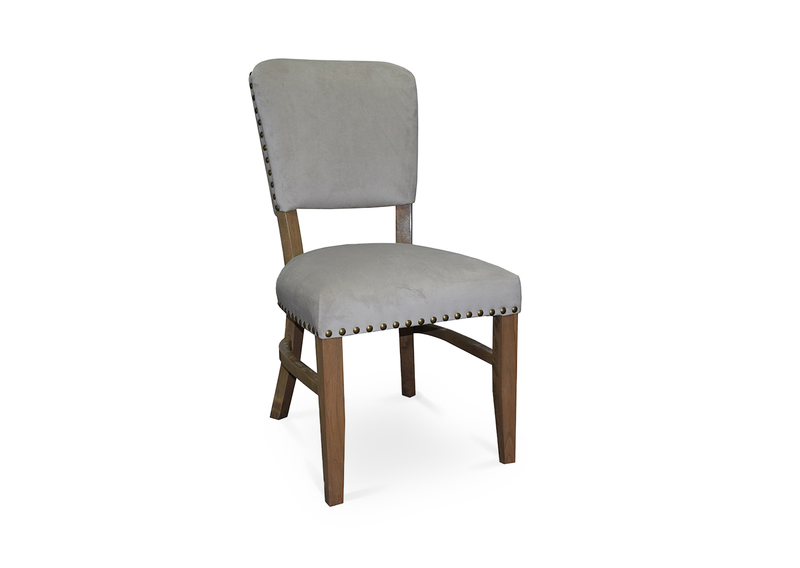 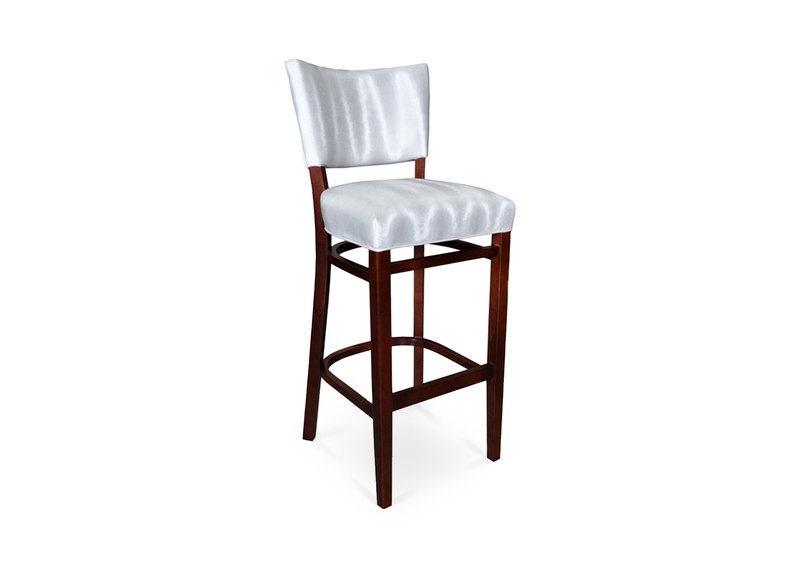 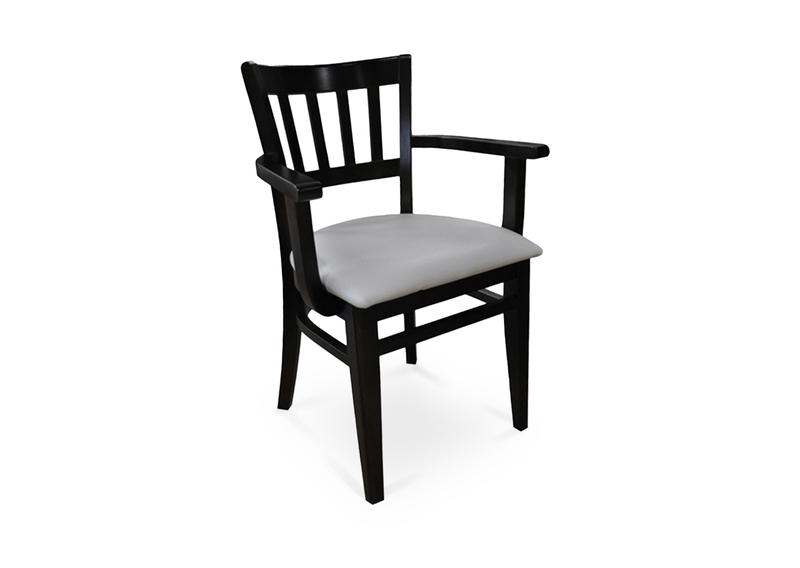 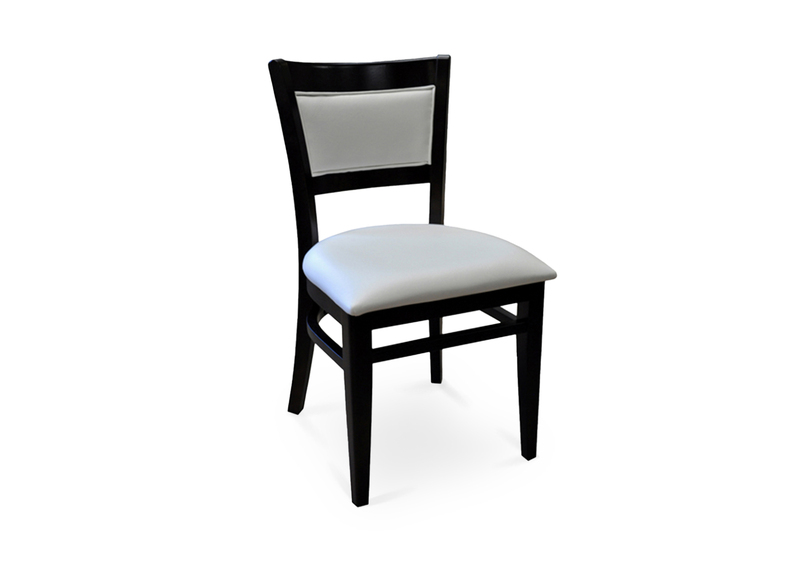 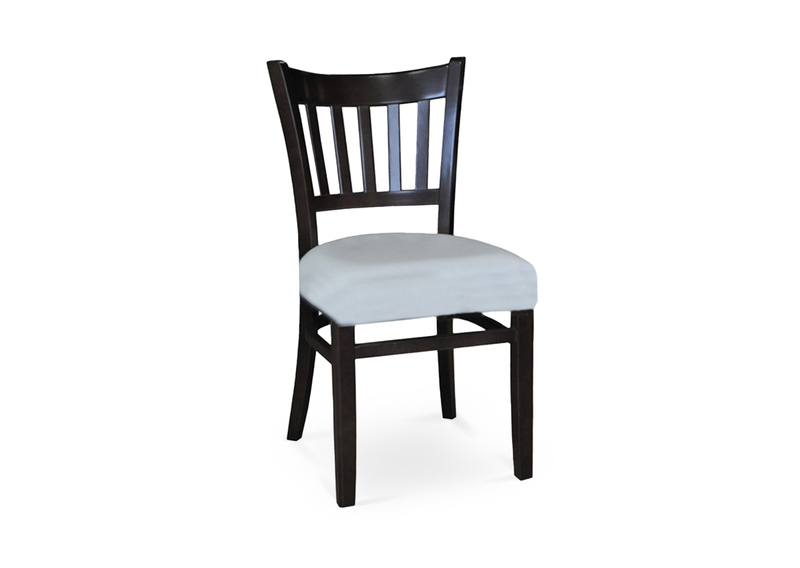 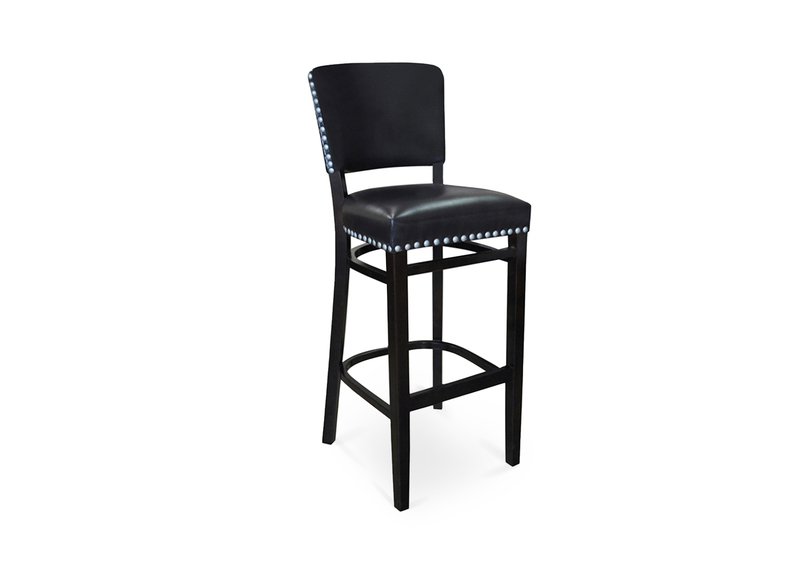 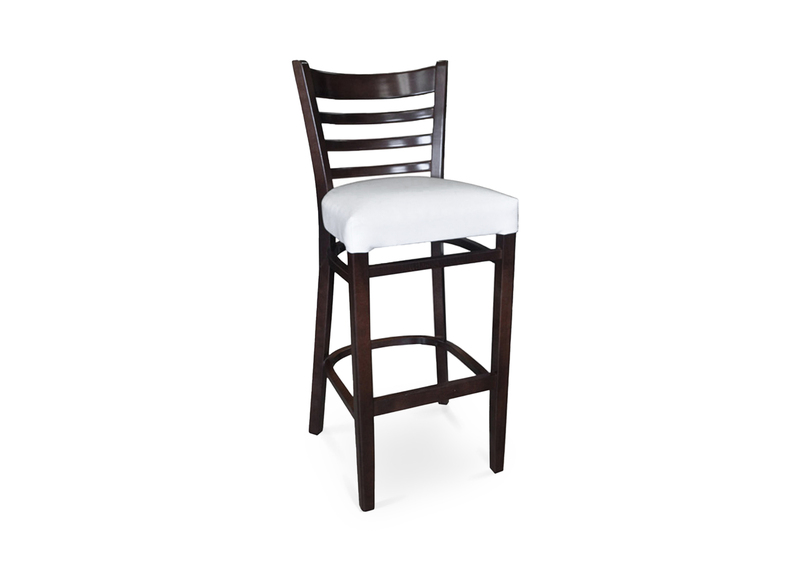 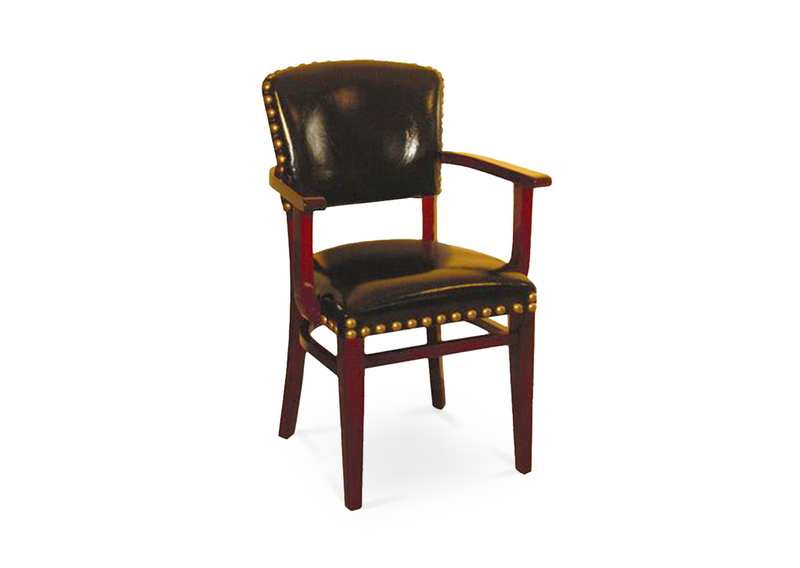 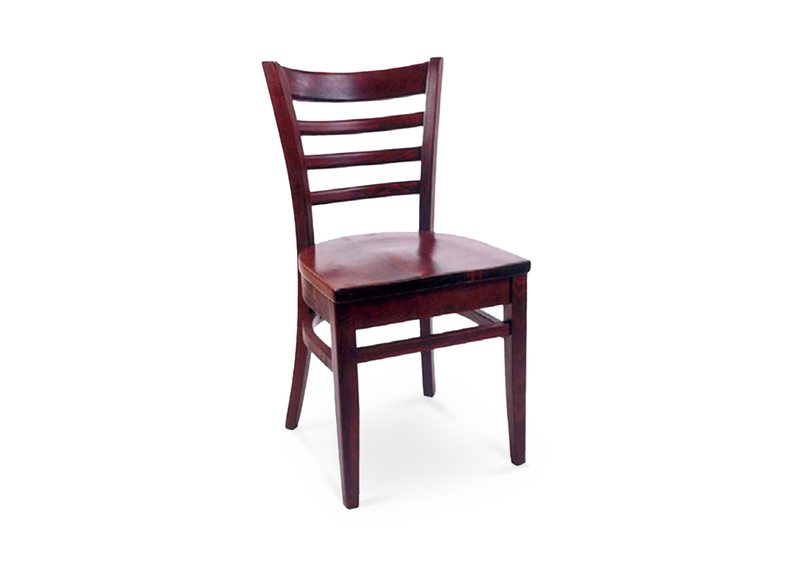 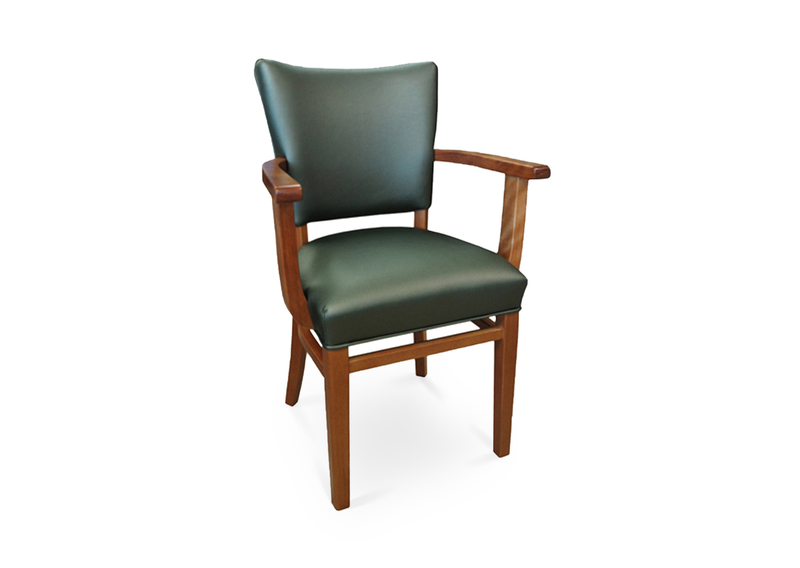 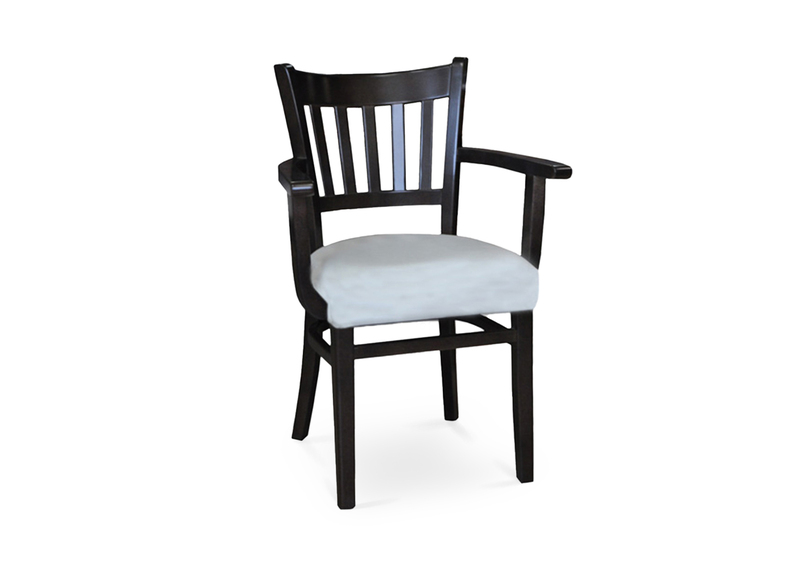 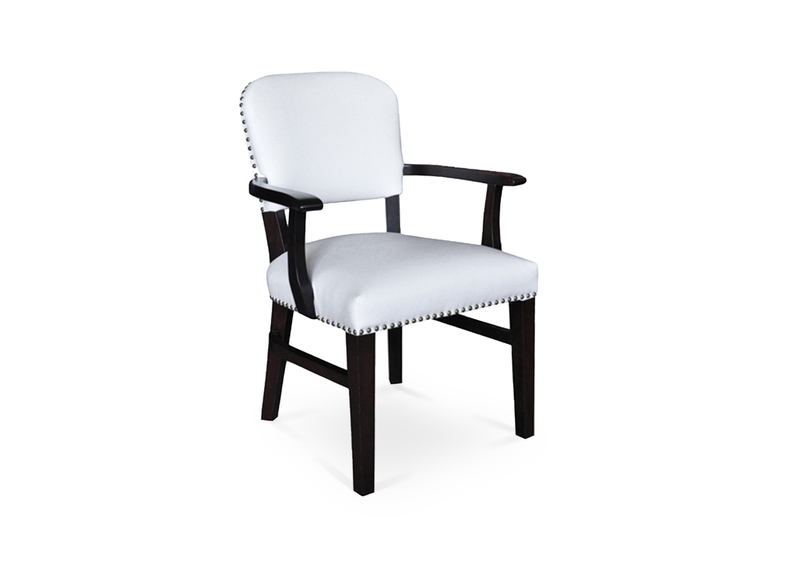 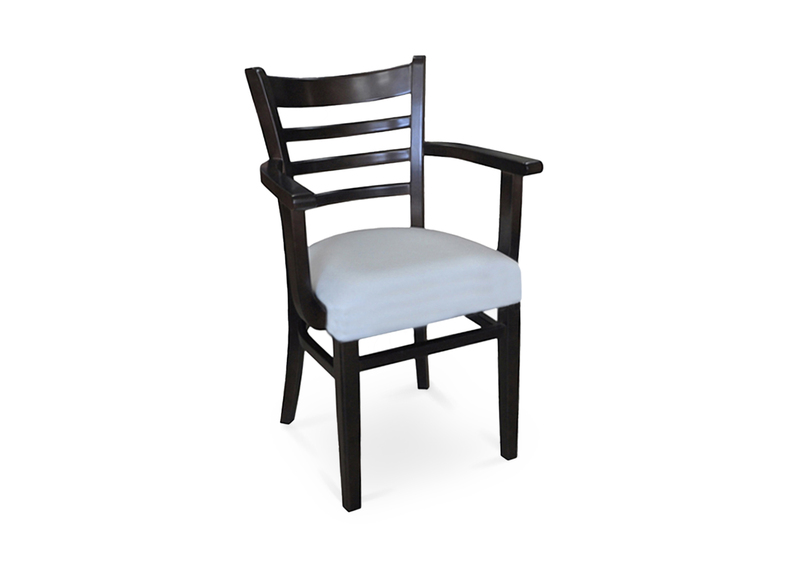 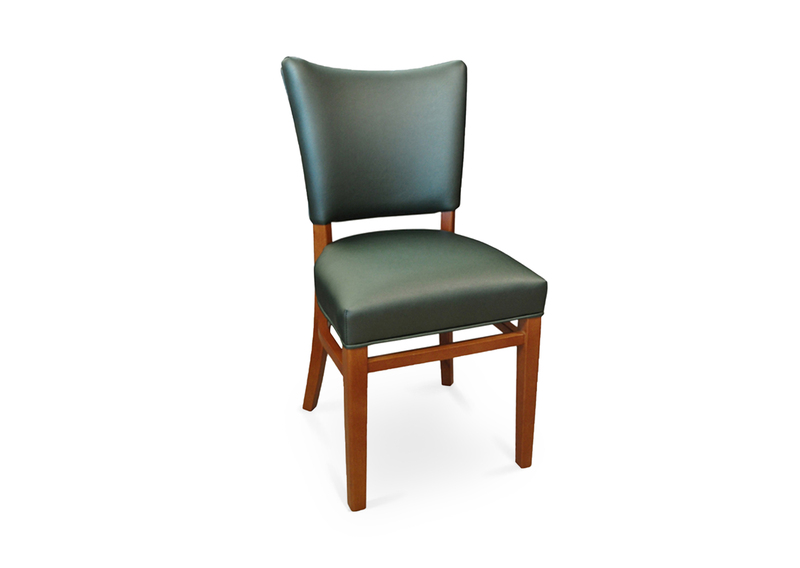 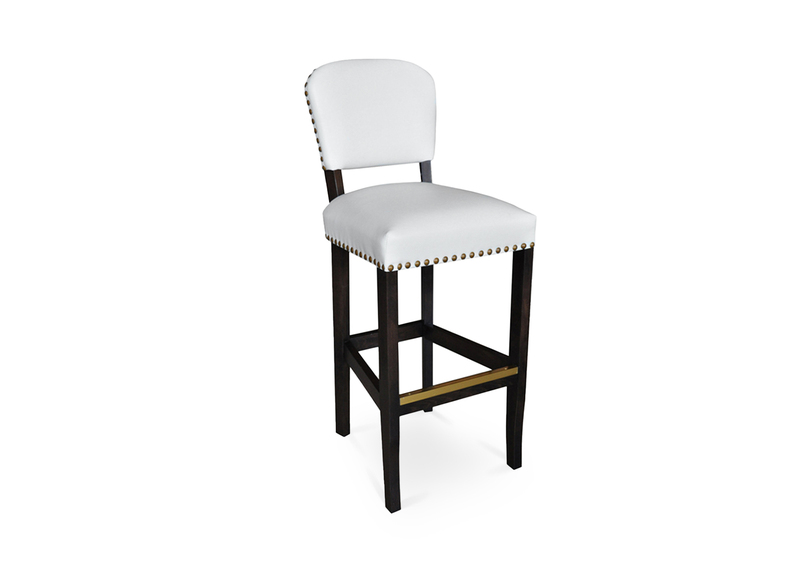 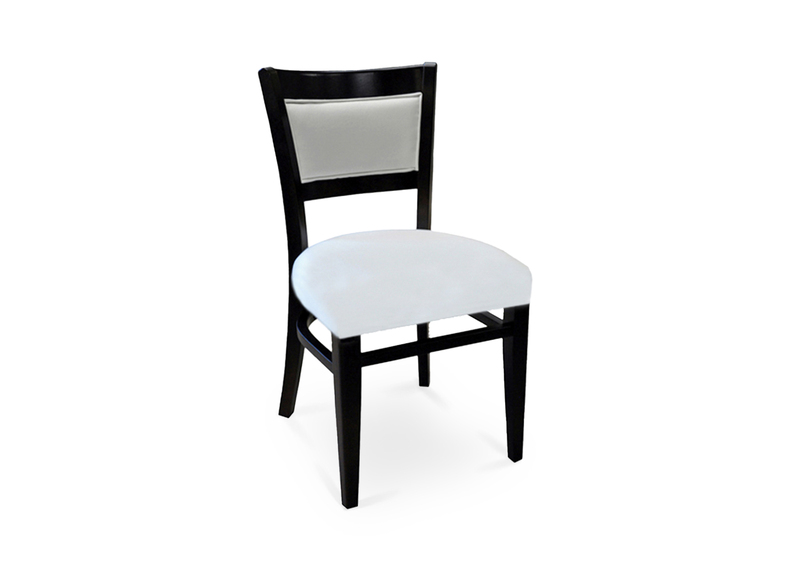 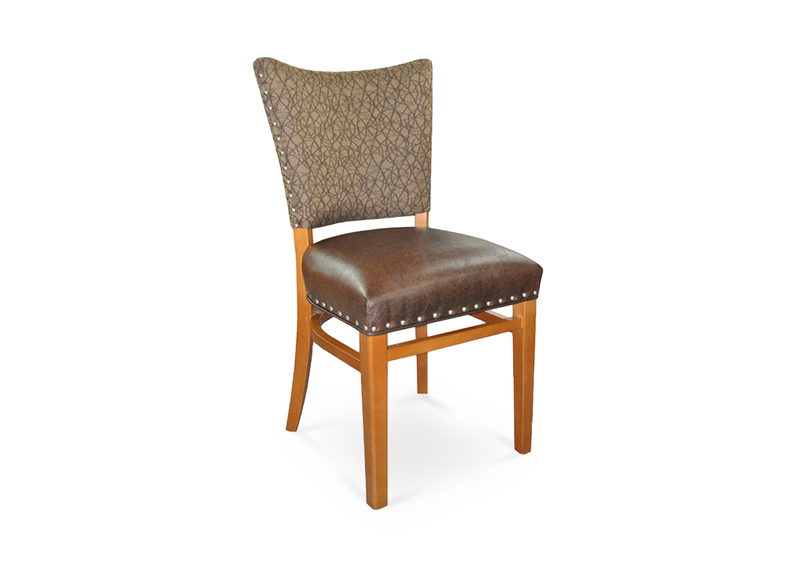 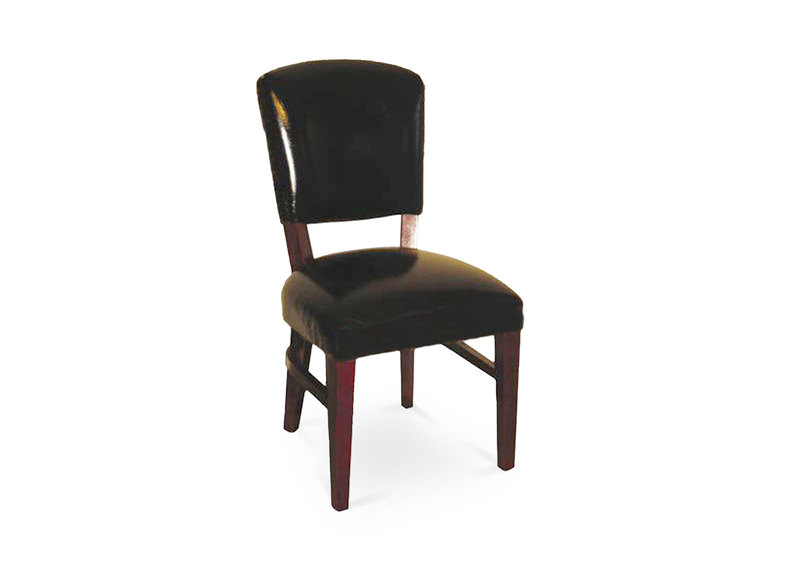 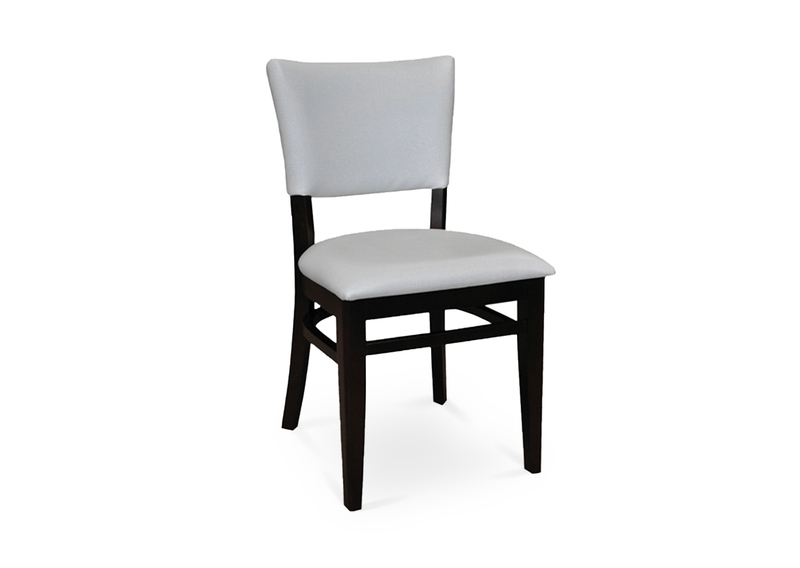 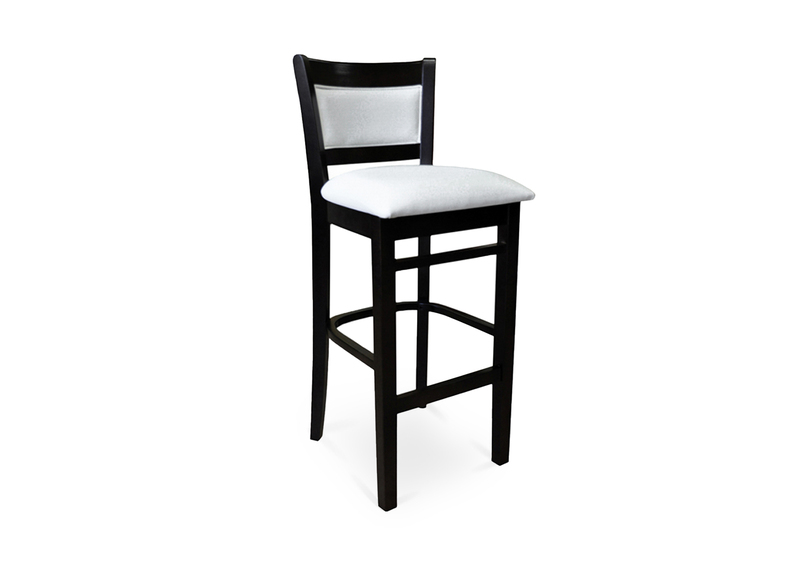 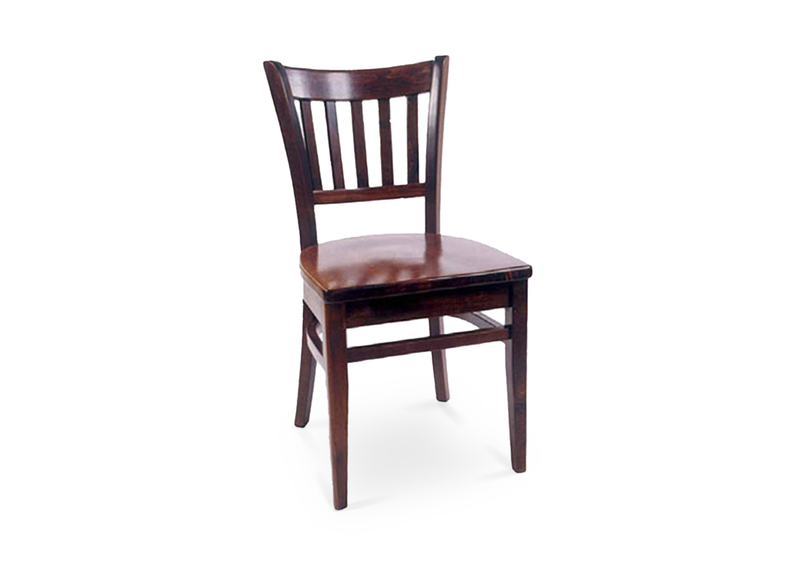 Includes wood saddle seat, horizontal wood slatted back with a crumb gap and standard rounded nylon nail-in glides. 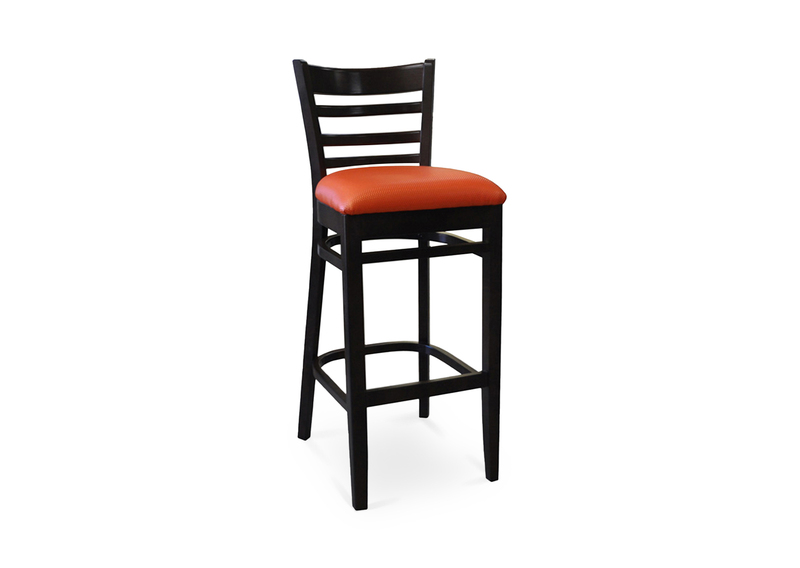 Available in select prefinished stain color options only (water based) and a 50° sheen topcoat lacquer.